Play Fit it quick and more New Games Games on Games1.com! Fit it Quick is the perfect puzzle game for everyone who likes to give their brain a workout! 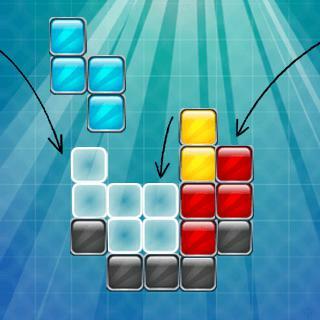 Use your thinking skills to put the Tetris-shaped blocks as fast as possible in the correct position. The markings show you which fields need to be filled. Can you collect all the stars?